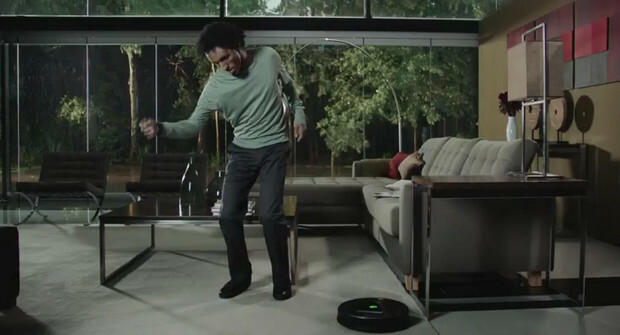 The company behind the Roomba and Scooba automated cleaners, iRobot Corporation, has launched a £10million ad campaign, spearheaded by a viral video showing off the robot dancing skills of YouTube sensation Marquese Scott. The bendy fella and his robo-dancing chums have been hired in to promote the new Roomba robotic vacuum cleaner, and can be seen doing “the robot” as the automated cleaner scuttles about. The video is getting national cable channel coverage in the US with slots also booked for big websites like Conde Nast, Epicurious and The New Yorker. Keen to maximise the return on the big money ad campaign, iRobot has launched a global YouTube competition, inviting viewers to submit videos of themselves dancing to the iRobot theme song. Prizes include a free cleaning robot.